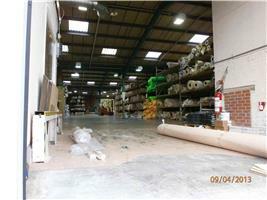 Myles Carpet & Flooring Ltd - Carpets/Flooring based in Newdigate, Surrey. Invoice history based on 186 reviews. Hi, my name is James Myles. Myles Carpet & Flooring was established in 1989 and have been supplying, installing carpets and vinyl's other floorcoverings ever since. I have worked for myself and many flooring companies over the years in all sectors and property types from major bluechips to small domestic homes and enjoy it all. I have also run big contracts for flooring contractors including major hotel fit outs, hospitals, new house builders, letting properties, care in the community projects and housing associations, as well as domestic properties. I can supply carpets,vinyls & flooring products at competitive prices often cheaper than high street retailers and online retailers, I have access to carpet & flooring manufacturers and distributors, I also offer a fit only service i.e you supply the carpet vinyl etc and I can come and fit/install it for you. I pride myself on being honest and reliable and treat my customers in the same way as I would like to be treated.